It was an unusual decision indeed, to choose to eat at a Mexican restaurant tucked in a rather deserted alley in the bustling Thailand, where good food and treats are always easily available 24/7. But it was a decision worth the time and the trouble searching for. 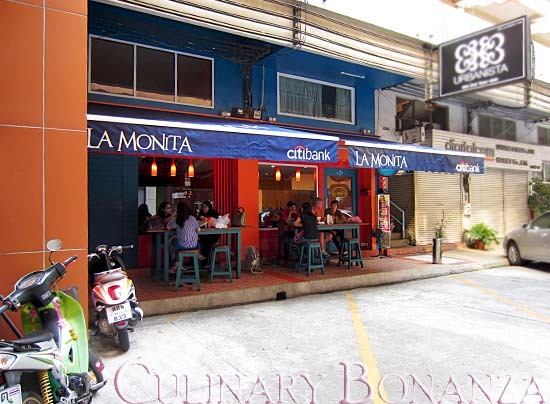 La Monita Taqueria was packed with patrons, noticeably the farangs (a local term for Westerners). The big pillar on the left blocked our sight when searching, but we finally found it! 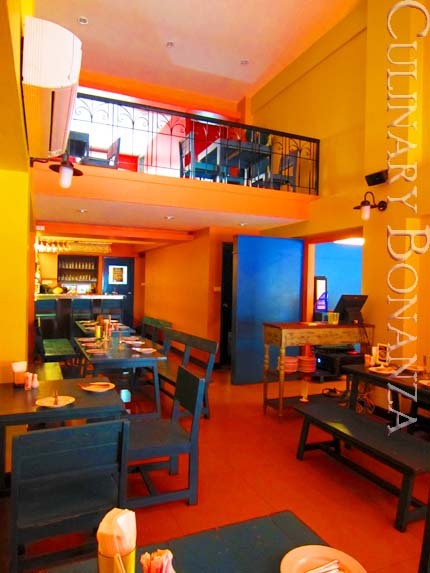 The interior is a contrasting play of colours, dominated with navy blue, yellow mustard and orange. The setting is casual, with wooden benches and tables that would not look out of place in a park. 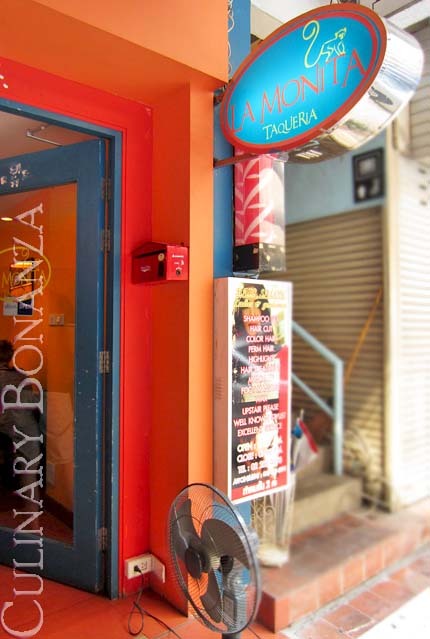 It was rather unfortunate that the entire restaurant is divided into two wings, which made La Monita seem small. 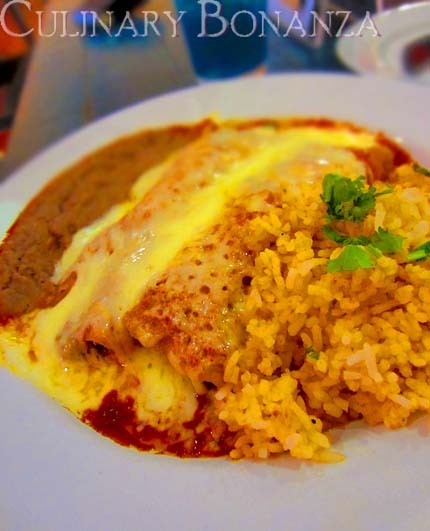 La Monita has a wide array of typical Mexican dishes, from Antojitos (appetizers), Wraps with all sorts of fillings, Nachos, Ensaladas (salads), Sopas (soups), Desayuno (breakfast), Tacos, Quesadillas, Enchiladas, Burritos, Arroz (rice bowl), Mexican desserts and Kids meal. For the beverages, besides the cocktails, the Mexican Sodas are recommended, especially to quench your thirst after walking for hours outside in the humid and hot weather. 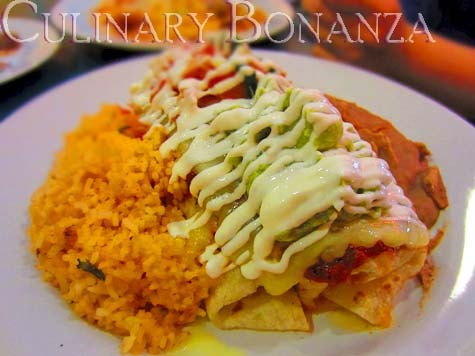 On the down side, these Mexican dishes are composed of basically the same few basic ingredients: corn tortillas, cheese, Mexican rice, refried Pinto beans, guacamole, salsa and sour cream. 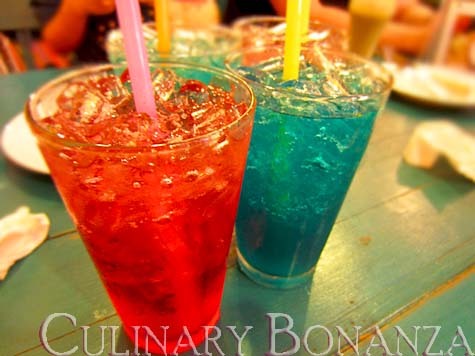 Thus, resulting in almost identical-tasting dishes, only different cooking method and serving appearance. 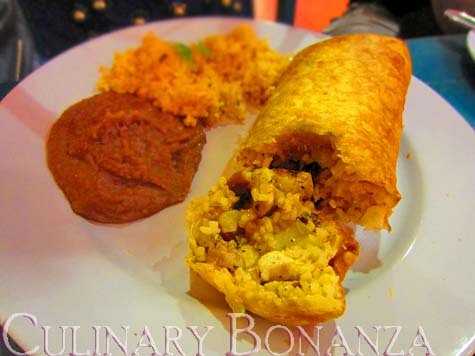 Taste wise, the Chicken Burrito (350 THB), Chicken Chimichanga - deep fried burrito (340 THB) and Chicken Enchiladas (270 THB) are good, but be warned that the serving portion is rather big for Asian palates, so, sharing would be a good idea.